A number of Long Beach musical and theatrical powerhouses will be coming together under one roof in the coming year. A number of Long Beach musical and theatrical powerhouses will be coming togetherunder one roof in the coming year. 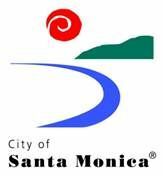 The Long Beach Opera, Camerata Singers, and Musical Theatre West will join International City Theatre (ICT) and Musica Angelica Baroque Orchestra as tenants of the newly-renamed Beverly O’Neill Theater for the 2016-17 season. The announcement was made Monday with much theatricality. caryn desai, ICT’s artistic director and producer, performed a portion of her speech in song. She welcomed the new companies and spoke of ICT’s long history. ICT, which performs a five-play season, has spent more than 20 of its 31 years at the Beverly O’Neill (formerly Center) Theater, she said. Most of their performances are premieres, she added. The company has twice received the Los Angeles Drama Critic Circle’s Award for Sustained Excellence in Theatre. ICT’s outreach programs reach “every (council) district in this city,” with more than 480 classroom visits to third graders this year, she added, to much applause. Andreas Mitisek, artistic and general director of Long Beach Opera, said their organization presents mainly 20th Century and rare works. The opera is known for its unorthodox venues — their acclaimed opera, “Fallujah,” was staged at the Army National Guard campus in Long Beach — and that tradition will continue. But the productions that lend themselves to theaters will now be performed at the Beverly O’Neill Theater. 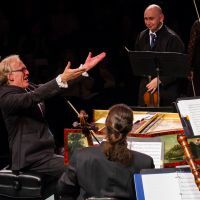 The upcoming season will include a collaborative performance with Musica Angelica and the world-premiere of an opera, commissioned by Long Beach Opera, written by Stewart Copeland of The Police. Also in the works is an opera about Walt Disney. “We’re so proud to be part of the Beverly O’Neill Theater,” he said. Paul Garman, executive producer of Musical Theatre West, announced that the company’s popular “Broadway in Concert” and “Reiner Staged Reading” series would relocate from California State University, Long Beach, to the Beverly O’Neill Theater. “We’ve always wanted to perform downtown,” Garman said. The company’s four annual main stage productions will continue to take place at the Carpenter Center. Ninety singers are not very portable,” Jan Hower, president of Camerata’s board of directors, said. Hower explained that choral music was not professionalized until the middle of the 20th Century. Camerata was formed in 1966 and has been performing, most recently, at the Long Beach City College Auditorium. The move to the Beverly O’Neill Theater, she said, is further proof that chorale music is finding its audience. “Choral music is better than it’s ever been,” Hower said, adding that she was excited about the growth of Long Beach as a musical arts destination in Southern California. Camerata announced six shows for the 2016-2017 season, including “The Music of Downton Abbey” in October. “We’re going to have our own Lady Violet,” who may teasingly taunt Artistic Director Robert Istad, she said. Baroque orchestra Musica Angelica, which began playing in the theater after relocating from Santa Monica to Long Beach last year, will continue at the Beverly O’Neill Theater for the 2016-17 season. Musica Angelica’s musical director, Martin Haselböck, said the theater had an “international energy.” The Viennese-born musician is “greedy enough to take the best of both continents,” he added. The upcoming season will include a visit from Andrea Carroll, a soprano at the Vienna State Opera, and collaborations with Camerata and the choral artists of the Bob Cole Conservatory of Music at CSULB. Musica Angelica performs on period instruments — often 300 years old — meant to transport listeners back in time. To demonstrate, members of the orchestra played the first movement of Bach’s “Concerto for Two Violins,” with Haselböck on harpsichord. ll the while, former Long Beach Mayor Beverly O’Neill, for whom the theater was named, sat in the front row, taking it in. She said she had been involved, in one way or another, with each of the arts organizations that now gathered in her eponymous theater. “I do believe that without culture, a city is bleak,” she said.